Lisa Harrow left New Zealand in the 1960s to study at the Royal Academy of Dramatic Arts in England – it was this move that cemented her love of theatre and later enabled her to build an international screen career. She has visited New Zealand periodically and starred in locally-shot movies Other Halves and Shaker Run. Nowadays Harrow lives in the US and is involved in environmental campaigning. 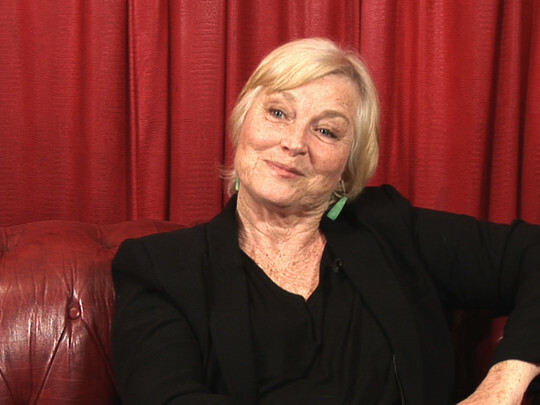 Her most recent Kiwi project was a role as the grandmother in TV2’s Step Dave. This video was first uploaded on 9 January 2015, and is available under this Creative Commons licence. This licence is limited to use of ScreenTalk interview footage only and does not apply to any video content and photographs from films, television, music videos, web series and commercials used in the interview.